Our cosy, long-sleeved 100% cotton T-shirts have more stitches than pirates have wooden legs. 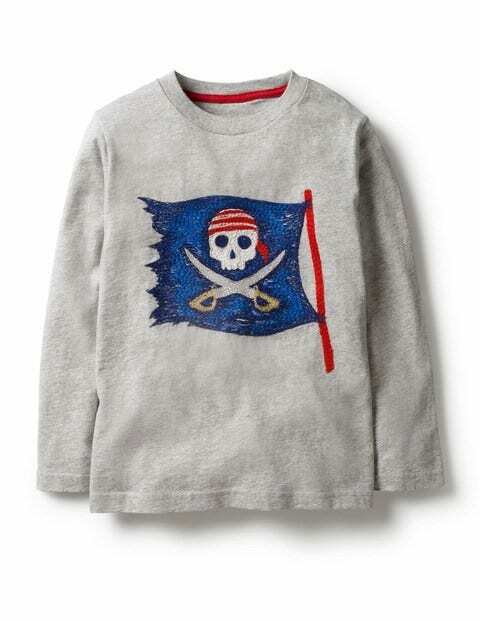 Take to the high seas in grey with a skull and crossbone flag or navy with a pirate ship – both in super-stitch embroidery. After all the swashbuckling action is over, these T-shirts are machine washable, too.